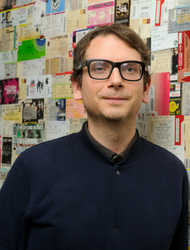 Andrew is the Managing Director for Ticketmaster UK. In this role, he has responsibility for the strategy and day-to-day operation of Ticketmaster in the UK and is responsible for a staff of more than 500 based across offices in London, Manchester and Glasgow. Andrew has been part of the Ticketmaster business for nearly 20 years gaining unparalleled insight into the ticketing business with a variety of roles, initially working in customer service during college. After joining Ticketmaster full time, Andrew rose through the ranks of account management into business development, latterly heading up the UK sales team. Before becoming Managing Director, Andrew was the business’ Vice President, Music & Comedy looking after all aspects of clients’ ticketing strategies.